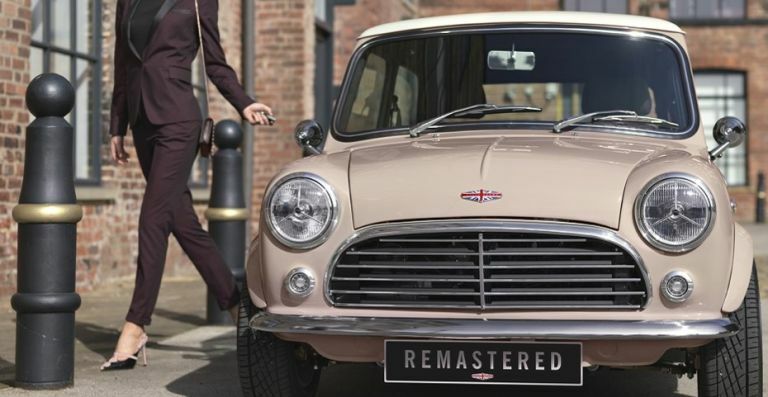 David Brown Automotive, the Coventry-based creator of limited edition cars, has teamed up with Mini to craft a stylish Remastered model that combines classic aesthetics with modern innovation. Based on a classic Mini and reborn into a city car for modern living, Mini Remastered by David Brown Automotive combines the iconic Sixties car’s looks with Speedback GT design cues, unique coachbuilding construction, modern technology and luxury hand-finished materials. Hand-built in Silverstone in the UK, the Mini Remastered can be customised with a slew of modern conveniences including Apple CarPlay and Android Auto, Keyless-Go, USB connectivity and an all-new, fully bespoke and handcrafted interior layout. Mini Remastered by David Brown Automotive will be launched to the public at the upcoming Top Marques Monaco show, taking place from 20th – 23rd April in the Grimaldi Forum, Monte Carlo. Finally, the warmer months are here, and what better way to celebrate that sunshine than a good ol' BBQ? Well, we've got one that's no only affordable, it's easy to carry around AND it looks just like a toolbox. What more could you ask for on a sunny Friday afternoon? The BBQ Toolbox from The Fowndry might be diminutive, but it opens out and offers plenty of elements for that essential food prep. One side features an open space, making plenty of room for the likes of herbs, spices and utensils, whilst the other offers a wire rack warming tray – handy for keeping food warm if you are cooking several rounds of food. It features a 20cm x 38cm grill as well as a removable tray for cleaning, and adjustable vents to control airflow over the coals for optimum cooking temperatures. The BBQ Toolbox is available online for £69.99 from The Fowndry. Sick and tired of your smartphone dying while you're away from home? How about a backpack that charges it while you're wearing it? That's what Kmono are offering with the new #LiveFree Backpack on Kickstarter right now. This Qi certified powerbank and guide enables you to simply drop your phone into the wireless charging pocket to top your battery back up - so no wires and no hassle. Knomo has also partnered with Chipolo, the world’s loudest Bluetooth tracker, enabling you to locate and track your backpack in seconds. The stylish bit of luggage is also crafted from British Millerain waxed cotton canvas to repel water and give rugged durability, the same stuff they use to make ship sails! The #LiveFree Backpack campaign is live now on Kickstarter. You can pre-order one today from as little as £162.